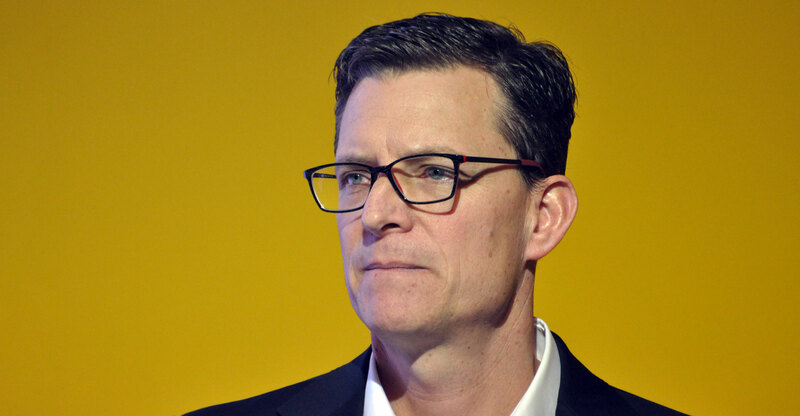 MTN Group CEO Rob Shuter said on Thursday at the telecommunications operator’s annual general meeting of shareholders that it still expects to declare a full-year dividend for 2018 of R5/share despite impending severe US sanctions on Iran. Iran is a key market for MTN, where it owns 49% of MTN Irancell. Shuter reiterated the intention to grow the group dividend at between 10% and 20%/year “over the medium term” beyond the 2018 financial year. He said the US’s recent withdrawal from an international agreement dealing with Iran’s nuclear programme and its plan to impose tough new sanctions on the Middle Eastern country has “created some complexity” for MTN. Reiterating a previous communication to shareholders, he said the US decision could affect the group’s ability to repatriate cash and dividends from the country. He added that despite the new US sanctions, MTN remains committed to its investment in Iran and has no intention of withdrawing from the market. The US government’s seven-year ban on Chinese telecoms equipment company ZTE buying American technology has also led to “operational complexities”. A long-running dispute in Cameroon over an operating licence has also now been resolved, he said. MTN is moving ahead with the listing of its operations in Ghana, which is imminent, and Nigeria, which should happen by the end of the year, “market conditions permitting”. Thursday’s AGM was the last to be chaired by outgoing chairman Phuthuma Nhleko, who will step down in December after 17 years with the group during which time he has served as both chairman and CEO.